I have purchased this interesting old vase which I am trying to find more about. It is made of bronze and measures about 13.25 inches tall with a diameter of about 11.0 inches at its widest. 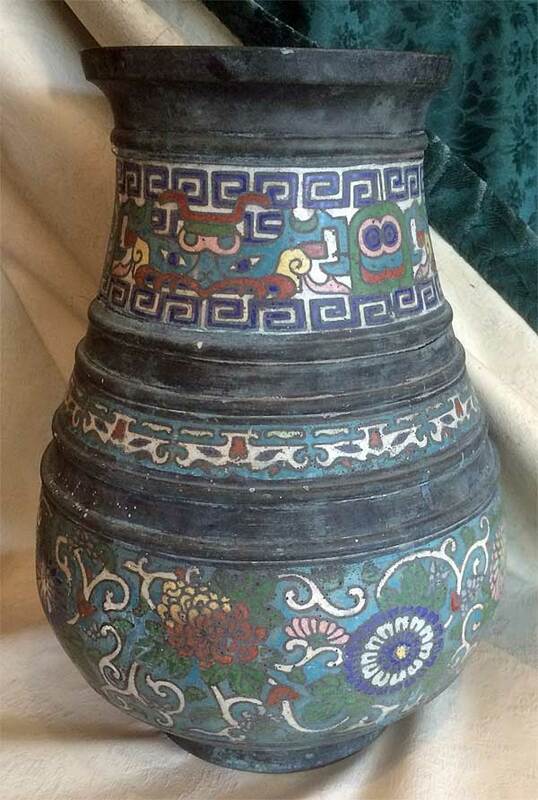 It has what appears to be coarse-enamel decorations including chrysanthemums. 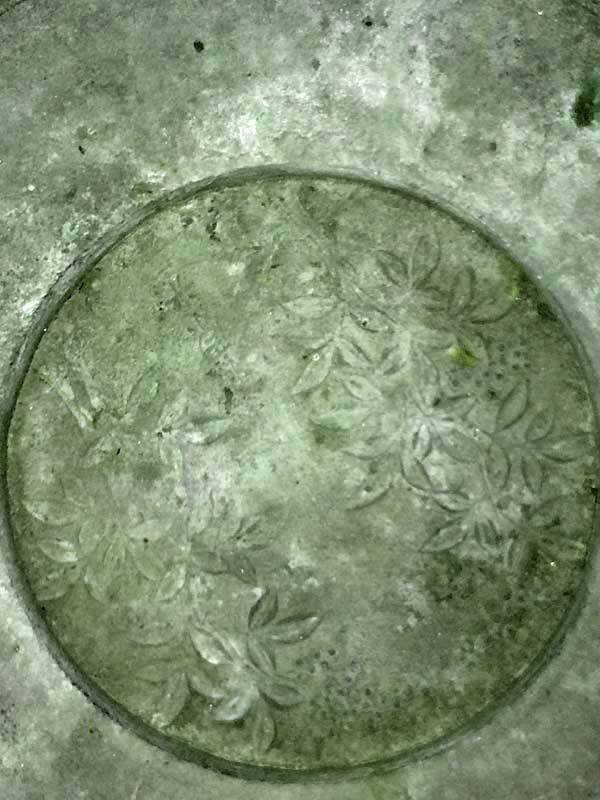 The most interesting thing is that the INSIDE BOTTOM of the vase has leaf designs in the bronze. The inside has the same green patina as the outside. 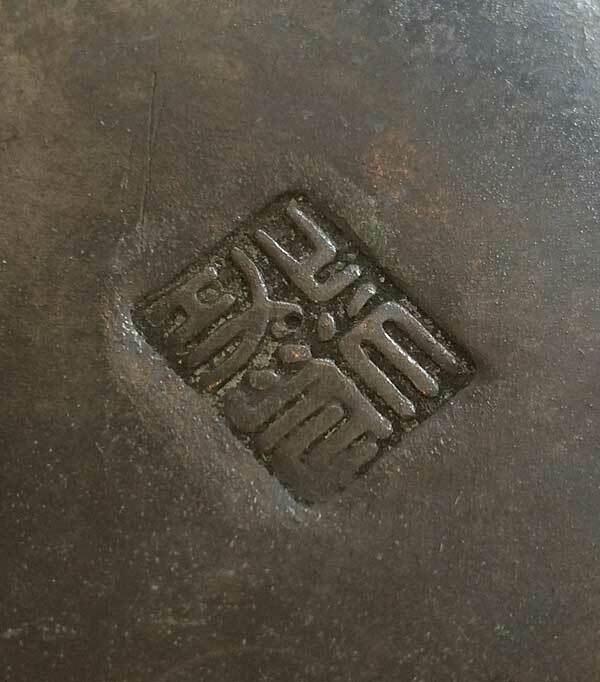 The bottom of the vase bears a mark, which I am hoping someone recognizes. I do not know if this is a valuable item or if it is what would be considered an “airport” souvenir.